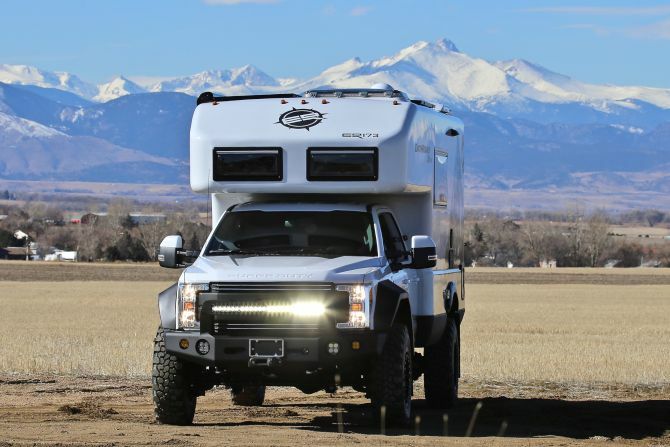 Looking for a stylish motorhome that has everything inside, like a conventional home? 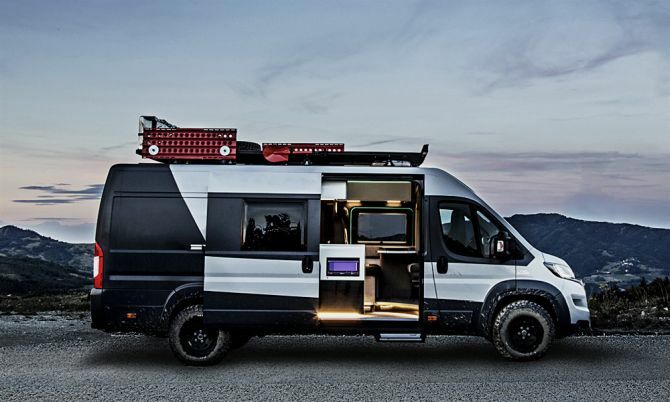 Well, Fiat Ducato Camper Vans are great base vehicles that are more suited to being converted into a motorhome. 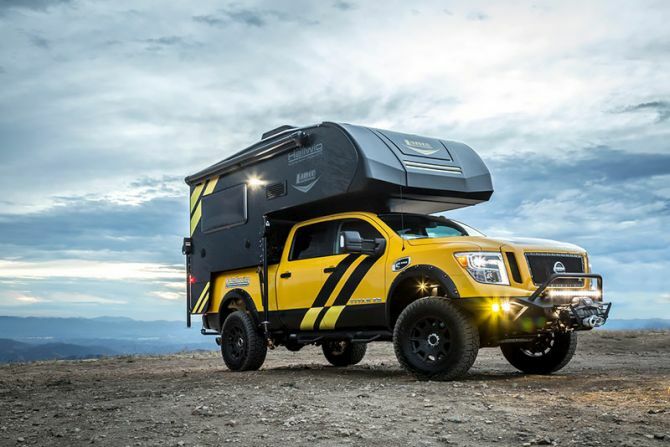 This is possible all thanks to Fiat’s focus on the motorhome market. In order to do that, Fiat has worked closely with Europe’s motorhome manufacturers to ensure the Ducato chassis cab is designed perfectly with a motorhome conversion in mind. Iron Maiden top the charts not only in music, but everything they do. Be it their signature beer custom headphones or touring vehicle – everything carries their unique metal style. Although some of these products are not very good, but who cares they’ve got numerous fans who are ready to buy anything they sell. 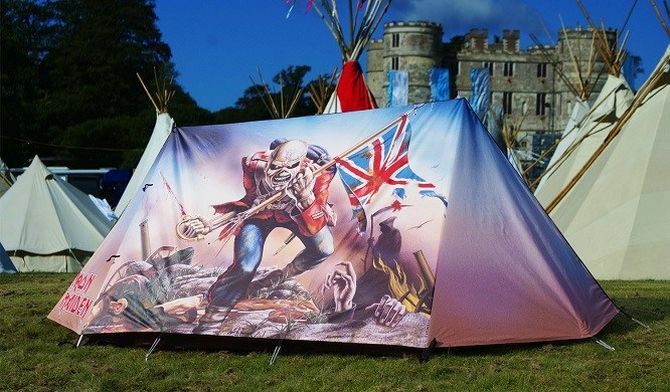 Now for music festival goers, the heavy metal band has come up with the coolest ‘The Trooper’ tent. Lighting strikes fear into the hearts of many people, and chances of being struck by thunderbolt increase when you’re outdoors. Although getting struck by lighting is not frequent, but deaths and injuries due to storm are very common. Mostly campers have to deal with such harsh weather conditions. 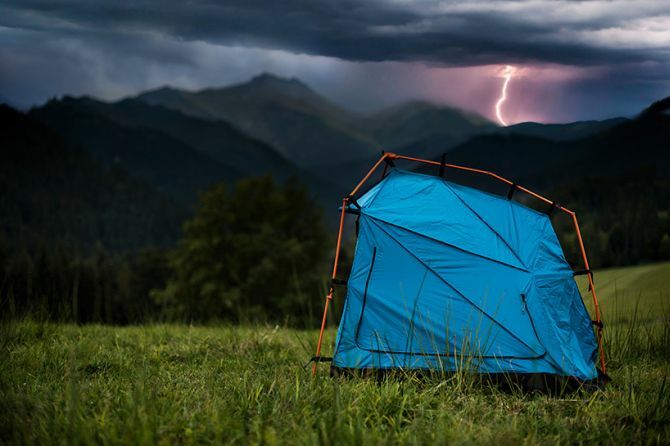 But not anymore, as industrial designer Kama Jania has created protective lighting-proof Bolt Tent to shield your adventure from thunderstorms. 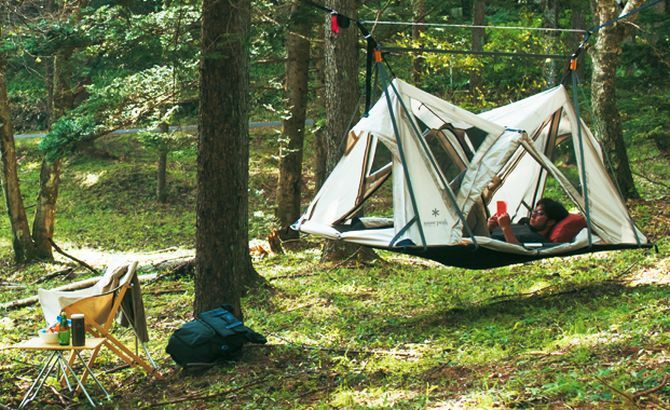 Tents are not land-bound anymore, there are various off the ground suspended shelters that are taking camping to new heights. Now Japanese firm Snow Peak is also raising their tents up in the trees with latest Sky Nest. 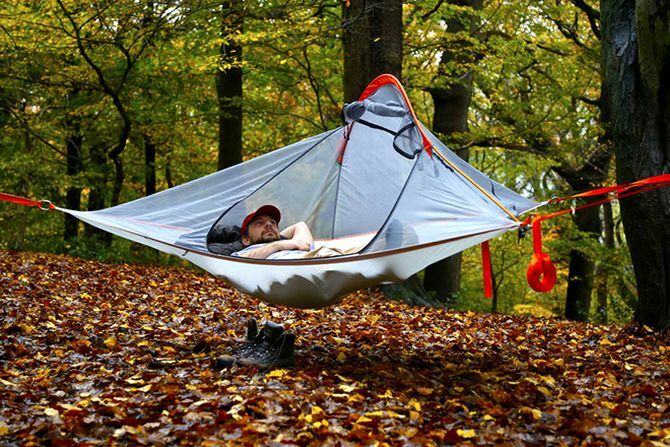 It is a suspended hammock-like tent for a comfortable sleep while floating in mid air. This outdoor refuge is certainly designed to offer a fresh new way to explore wilderness without leaving your comfy sack. Although camping is a great option to unwind, but sleeping on uneven rocky ground surrounded by creepy-crawlies often turns people off to camping. Don’t worry, you can relax and catch up on your sleep in mid-air with floating tents by UK-based firm Tentsile. 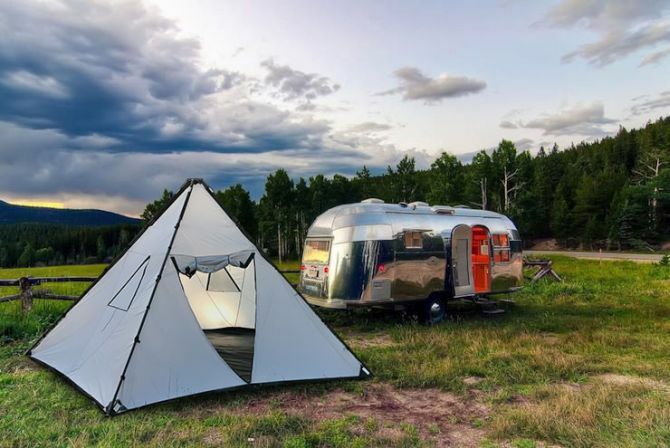 The company is renowned for combining comfort of swing beds with protective conventional tents, offering ultimate off-the-ground camping experience. However, this time they have unveiled their most portable and lightweight tree tent in form of Tentsile Flite. Cyclists out on long trips are always worried about getting accommodations as they couldn’t carry all the necessary items with themselves. Well, Wide Path Camper, a Denmark-based company has a cool solution for all their camping needs. 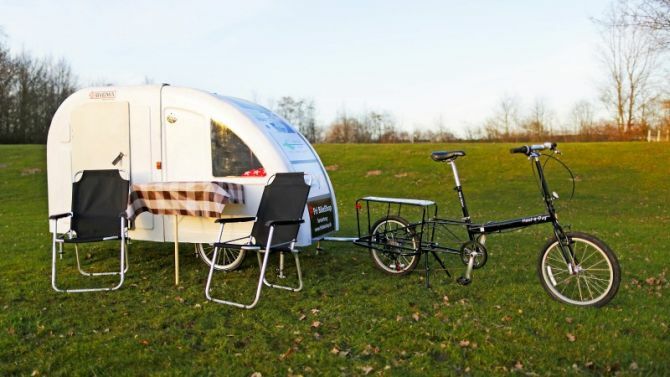 To improve the travelling experience of the cyclists, the company has designed a tiny trailer that can be towed by a bicycle. Referred as mobile tiny houses, the campers are designed to offer instant shelter from weather, dining space and a comfortable sleeping area.